I am using QXL & I want to export QuickBooks Data to Sybase. 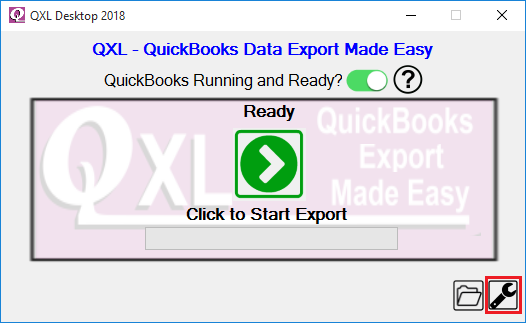 How can I export QuickBooks Data to Sybase using QXL? 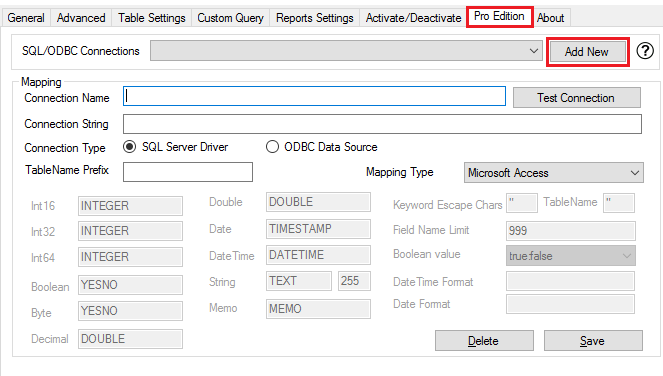 You can export QuickBooks Data to Sybase using QXL. First, You need to create the database in Sybase for storing QuickBooks Data. 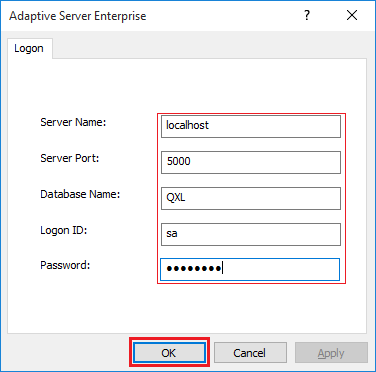 You need to use Interactive SQL & execute below query for creating the database. 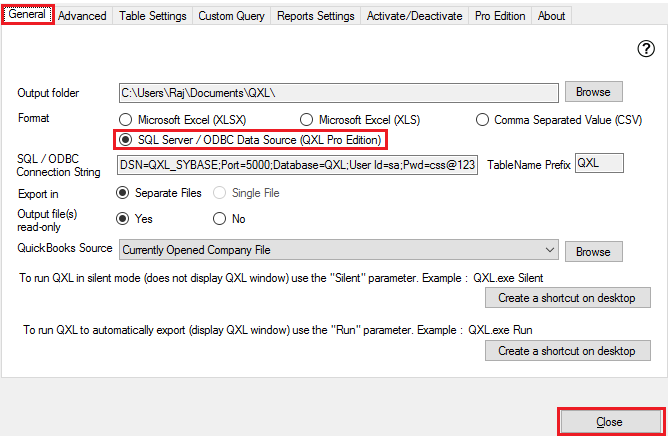 create database dbname on default ="1G"
create database QXL on default ="1G"
Note: default ="1G" will set database size to 1GB. If your company file contains more data, then you need to create the database with more size. The database is created in Sybase. By default, Sybase database does not allow null value in database fields. There is some field value could be null during export. So, We need to change this property. We can change it by using below query. Note: You need to execute above query in Master database. The query is executed. Now, You are ready to export QuickBooks data in Sybase. 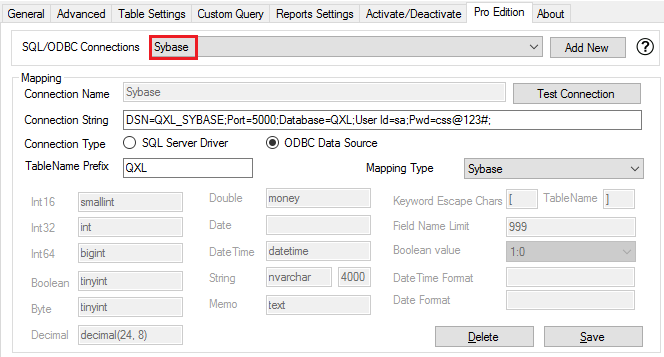 After that, You need to create ODBC DSN for Sybase which will point to the Sybase Database. 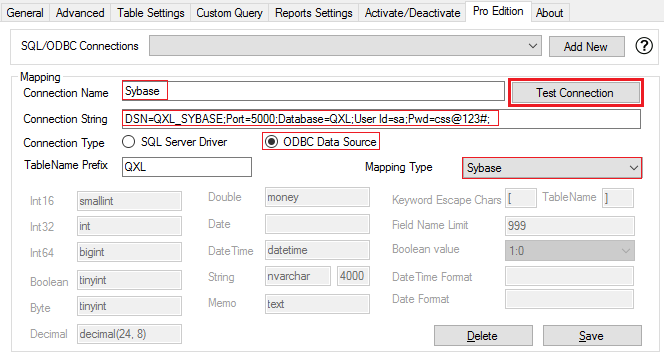 I have already created ODBC DSN for Sybase below property of the DSN. 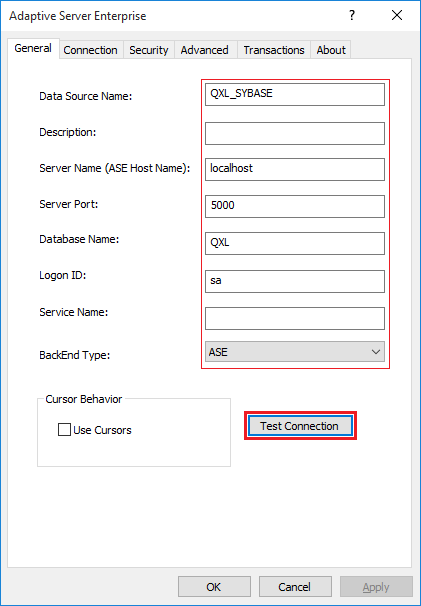 We will test connection of Sybase DSN by providing Sybase database information & clicking "Test" button. 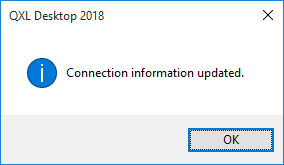 Sybase ODBC DSN test connection successful. We will use this DSN in QXL. Enter connection details (i.e. 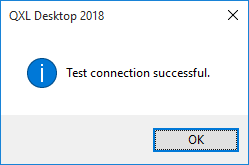 Connection Name, Connection String) select "ODBC Data Source" as a Connection Type & "Sybase" as Mapping Type and click "Test Connection" button. Now data is ready to export into Sybase. You can export by clicking on the Export icon from QXL Setup Screen. 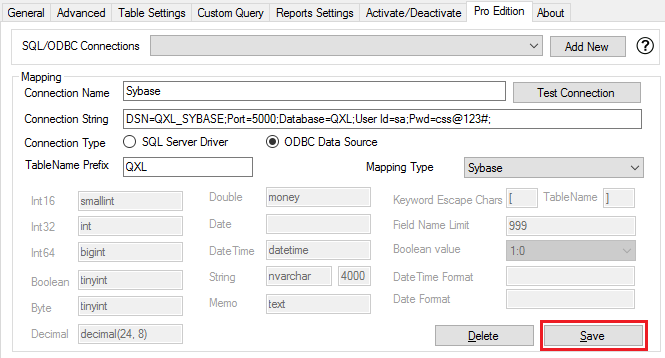 QuickBooks Data is exported to the Sybase. You can verify it using below query. Select * from sysobjects where type="U"